When relationships end, it is difficult for all involved to work through the myriad of emotional, financial, legal and day-to-day practicalities and routines. Parenting children with additional needs can make this time of transition and settling into new routines even more challenging. This article intends to provide tips and strategies for those in parental roles to help calm and settle their children into new routines; work as a team which may include other individuals involved with parental roles, e.g. grandparents, and manage any conflicts. Listed last are web links to other services and support organisations that may be helpful. Parents will be used throughout this article for simplicity but is intended as a term which includes any individuals that are in a parental/carer role. It is most natural for children to want their parents to stay together and for some children the fantasy of everything turning out alright can be hard to shake, but children can and do adjust to life post-separation, in fact, many aspects of their life might be better. Remnants of this fantasy can remain though and is important to remember especially as new partners arrive on the scene. To support children through changes effectively, parents need to ensure they are in good shape themselves. Self-care is very important, as is seeking other adult support. Allow children to have a nice time at the other parent’s home, including if they liked a new partner, this could be challenging, however very important. This situation could be painful, if so, it’s better to admit this than ‘sweep it under the rug’, e.g., to children, you could say something real like, “It is taking me awhile to adjust to this new person being in your life, I may be looking puzzled, sad, or annoyed at times, but I’ll get through that”. Throughout separation it’s important to keep children’s rules firmly in place. Ideally rules should be consistent across each household, but if not possible, individual parents can enforce rules in their homes as children still need their parents to be the boss. It can be too easy in the single parent dynamic to create a friend or confidante relationship with children, they don’t need a friend or flatmate, they need a parent. E.g. A child may offer for you to tell them what is going on, but they don’t always need to know – an age appropriate message is all they really need. When children return home from time with the other parent, it can be useful to sit with them and plan the week, reminding them of expectations and up-coming activities associated with this household. This grounds them, settling them into the household while developing traditions. Younger children (under 4 years) will benefit from predictable and responsive caregiving and time with each parent. Brief frequent visits can be better than overnight stays at this age. Overnight stays can strengthen bonds for older children (over 4 years). Keep routines as normal as possible. Children feel safer and more confident if they know what to expect, if changes to routines cannot be avoided, try to warn children of this change in advance and adjust any visual supports you may be using, e.g. schedule or calendar. Work toward creating common routines for each household to follow. Use of communication with children throughout daily routines can be beneficial, such as during meals, listen openly and be emotionally sensitive. During transitions house to house; let your children know how much they are loved. Routines help children know what is important to your family, special routines are sometimes called rituals. Family rituals help strengthen shared beliefs, values and a sense of belonging and togetherness. At this time, it may be helpful for each household to solidify or create a few new rituals that encourage special family times and feelings. E.g. a saying, handshake, movie night, car sing-a-longs. Organisation – let children know day to day practicalities, such as, who will be taking them to school, where they will be sleeping, and how often they will see each parent. It is helpful if children have less to remember when transitioning house to house, items such as clothing and personal items could be kept in each home, e.g. pyjamas, toiletries, underwear, footwear. Make sure special items, such as a blanket or toy move between homes, this helps children feel more secure. Help children pack or consider lists (which could be stuck to a wall or other surface). Older children may need extra help with school books and homework. Resources that could be useful are shared online calendars or apps. These can be a great way to stay organised and to communicate with the other parent about what is coming up. Children need a place they can call their own and a space for storage of their belongings in both homes. Find a way to give children this space even if they do not have their own bedroom, e.g. a beanbag, cupboard space, wall space for favourite pictures. When transitioning between two homes, a homecoming ritual can help as children may be feeling unsettled and grumpy, this could involve a snack, bath, music, checking schedules/calendars for future events, an outside activity. Avoid making transitions when children are hungry or tired. Some children with additional needs require routines more than others, in general, effective routines include three key elements, these are: well-planned where everyone understands their role and what needs to be achieved; they are regular where they become a part of everyday life; are predictable where things occur in the same order each time. Once established, routines can be talked about and tweaked to keep everything running smoothly. Routines can change, either with age and growth, or circumstance, such as unexpected things that come up, this is where some flexibility may be needed, particularly when children are ill or have not slept well, e.g. on holiday. If a break in routine has occurred, reintroduce them gradually. 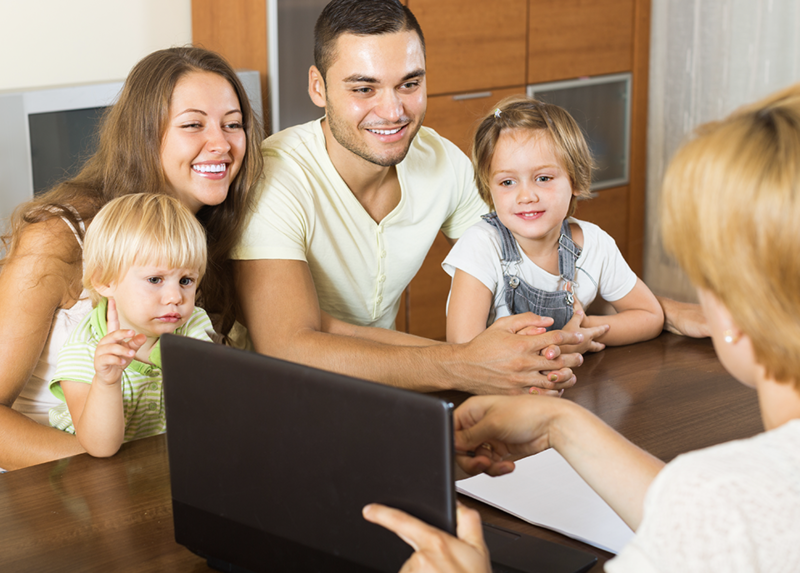 To help children follow and take part in family routines consider using any of the following strategies: touch and voice cues, social stories, schedules, and other visual aids. Remember that the person you currently may not like very much or even hate is the other most important person in your children’s life. It helps to go into the separation with realistic expectations for yourselves and the children, have a plan for the pain rather than hoping to avoid it. Allow emotions, it can be helpful for children to see parent’s experiencing emotion as it normalises their own, validating feelings. An underlying message that this is tough now, but we’re going to be okay is essential to everyone’s wellbeing. If parent’s feelings become overwhelming, children can feel there is no space to express their own, it is paramount that parent’s seek other adult support, so their children do not feel burdened. Consider how any funded or non-funded respite/time-out child care could be used, and shared, at least initially until new funding/legal arrangements have been finalised. 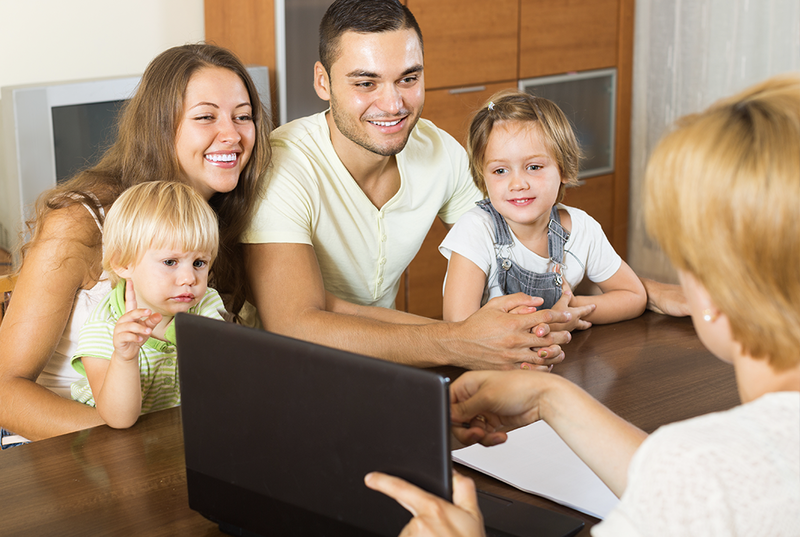 Extended family members may be willing to help more, especially if temporary. Try not to put the other person down in front of the children, this impacts on them, and could add to any feelings of responsibility/guilt they may have for the separation of their parents. Regular reminders from parents that it is no fault of the children’s that the adults that have chosen to separate can help their emotional well-being. Mistakes are easily made at this time (e.g. say or do something unpleasant) despite best efforts to put the children first – forgive, and start each day afresh, it will get easier as time goes by. Parents will always have differences of opinion, children will pick these up, and will form their own over time and as they mature. Letting the kids make up their own mind about some things can help, rather than feeling pressured to ‘take sides’. When parenting in collaboration with your ex-partner limit making changes to children’s routines, learn how to deal with conflicts; set, explain and enforce clear rules. Consider joining a parent-focused program to find out more about effective co-parenting, emotion regulation, positive child behaivour support and discipline. Once you have finalised your plans, talk openly about how the living arrangements will change, e.g. be clear about who your children will live with and when. Children have the right to know the decisions being made on their behalf. Remember that plans will need adjusting as children grow older – discussions with older children and teens about living arrangements include being willing to listen to and respect their feelings and ideas about where they want to live. There can be some envy, some jealousy and even conflict regarding thinking the children are having a better time at the other parents, and that they are going to like that parent more. The parent picking up children after school, helping with homework and covering the day to day living basics is what children really need, it is incredibly important and should never be under-estimated even if it doesn’t appear to get so much kudos. Develop a flexible parenting plan that prioritises your child’s needs and modify the plan as your child develops. Stability is strengthened when children have time with each parent and maintain close ties with siblings and extended family members. Preferably, and if necessary, create a parenting plan in mediation, rather than court. Support your own well-being, take care of yourself to be an effective parent, find healthy ways to cope and release stress, seek professional help when you feel overwhelmed and develop a support network/circle of support of friends, family and professionals. While parenting a child with additional needs this can be harder to achieve. 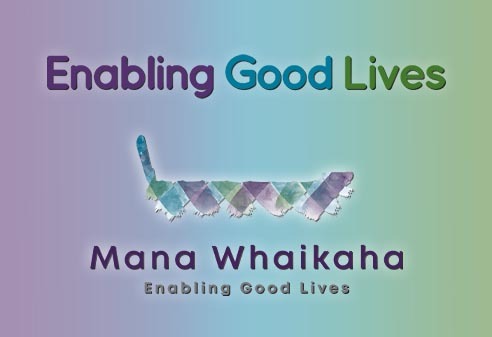 There are links to the websites Care Matters (resources tab) and Carers NZ (respite & wellbeing/tab) below. These websites provide tips for taking breaks, care of yourself, and finding further support. Be polite when your children are picked up or dropped off, if you are loving and reassuring it may help them cope with the transition. Respect reasonable limits set by the other parent, it is not helpful to undermine the other parent’s authority or reverse any decisions he or she has made. Rather, discuss rules and discipline with the other parent so that you’re as consistent as possible in each household. Don’t expect children to act as messengers – communicate directly with the other parent, they should not be expected to give either parent any information about their activities, friends, income, etc. Recognise that children may feel that their relationships with extended family members are changing, give them lots of opportunities to keep connecting. Try to keep other important adults in your children’s lives, such as, teachers, child care providers, or coaches informed about what is happening so that they can look out for any signs that they are having trouble coping. Share important medical and school information with the other parent; and try to attend any meetings and appointments together so that you are both kept informed. Behaviours that may be new or are worsening could indicate your child may need further professional support to help them cope with the separation. Behaviour changes to take notice of are: anxiety; sadness and depression; change in eating and sleeping patterns, trouble at school, or aggressiveness. Consider discussing any of these concerns with your children’s G.P or other health, social and wellbeing professionals. Pedro-Carroll JA. How Parents Can Help Children Cope With Separation/Divorce. In: Tremblay RE, Boivin M, Peters RDeV, eds. Emery RE, topic ed. Encyclopedia on Early Childhood Development [online]. http://www.child-encyclopedia.com/divorce-and-separation/according-experts/how-parents-can-help-children-cope-separationdivorce. Published June 2011.